Both the Bible and history are full of stories of individuals achieving amazing things, in response to promptings from God. These prompts are rarely loud and often subtle. Like a whisper, they are precious and easy to miss. 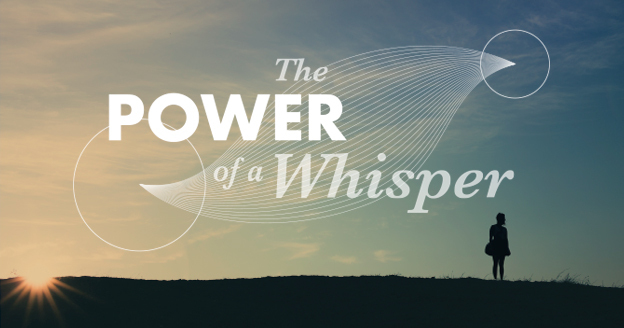 In this series, we will consider how to recognise the whispers of God, and respond accordingly. It’s one thing to hear a whisper from God. It’s another to respond. In this final talk of the series, Jo considers how we can put faith into action, responding to the things God is asking us to do. A whisper is a subtle and precious thing, easy to miss. If we are to hear God’s whispers, we will need to draw close to Him and learn to listen. In this talk, David considers how we can make a regular practice of listening to God. How do we know if we are really hearing from God? What if we’re wrong? In this talk, David Stroud considers some practical questions to help us learn to weigh the whispers and respond with wisdom. Does God whisper today? In the first talk of this new series, Liam looks at Hebrews 1 and considers what it can teach us about the kind of world in which we live, and the role God’s whispers have in sustaining and guiding our lives.